Worthington Family Chiropractic - Chiropractor In Worthington, OH USA :: What is N.U.C.C.A.? NUCCA stands for National Upper Cervical Chiropractic Association. It is an alternative, conservative health measure that focuses on the improvement of health without the use of drugs or surgery. The NUCCA system of spinal correction is very gentle. No twisting, cracking or thrusting into the spine is required for correction. It's main focus is on the atlas, which is the top bone of the spine. It is the vertebra that the head sits on. 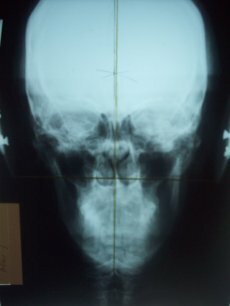 Essentially if the head is not on straight then the spine cannot possibly be straight. The N.U.C.C.A. technique is precise. We utilize precison instruments to analyze specific three dimensional x-rays of your spine. 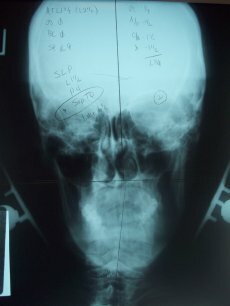 These x-ray measurements are then combined with calculations based upon the laws of physics and biomechanics in order to determine a precise formula for the corrections that is individual to each patient. A spinal correction is designed to restore body balance and remove stress, tension and pressure from around the brain stem. This will allow messages from the brain to communicate more effectively with the rest of the body, allowing the self healing process to begin. Results are measurable and reproducible. By measuring a post (after the adjustment) x-ray and checking postural balance, we are able to show you positive changes that have occurred. 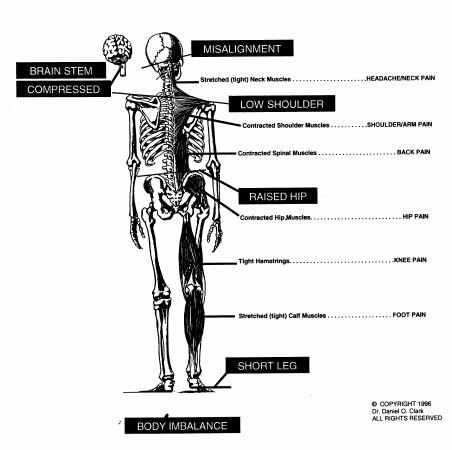 When the body is balanced, there is no stress or tension on the brain stem. This allows the health and healing messages that travel back and forth from the brain to the body to flow uninterrupted. A Balanced body will maintain health at its optimum level. When head tilt develops and the body becomes imbalanced, the brain stem is compressed, restricting the flow of health and healing messages from the brain to that part of the body serviced by these compressed nerves. This can cause pain and suffering and decrease the quality of your life. Misalignment of the bone structure of your head and neck irritates the nervous system causing muscular tension and translates into PAIN and SUFFERING. A NUCCA spinal correction does not treat any specific condition, nor does it claim to cure any ailment. It simply removes interference from the brain stem and allows the body to heal itself. The NUCCA spinal correction can eliminate the need for medication and surgery in many cases. It is the most powerful tool in healthcare today!